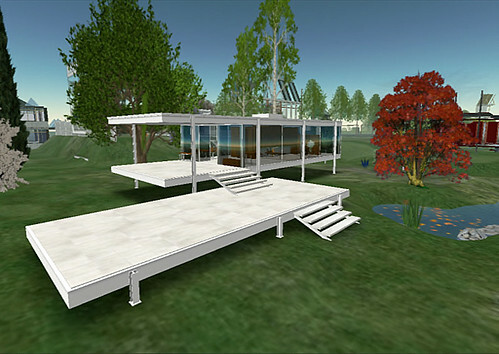 Designer Dingson has completed his installation of the Farnsworth House on Architecture Island in Second Life. 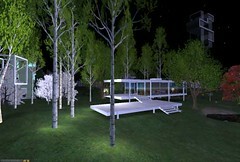 Designer Dingson: “I worked with Troi Timtam on the landscaping (who was wonderful), she chose to use the tall thin white barked trees so as to echo the strong verticals on the house. The upper gardens feature a small apple orchard and the viewing platform from which you get a clear look out to sea and a great view of the house. Check out the build HERE. 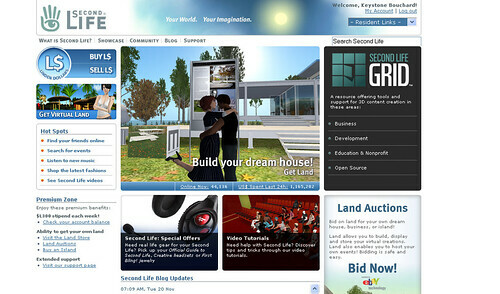 Update (2007-04-12): Designer has provided some updated images that can be viewed HERE.